UV Paints glow vividly under UV light. These lights are also used to charge glow-in-the-dark paints very effectively. We supply a range of UV lights that can be used to make our UV Paints glow and to charge our Glow-in-the-Dark Paints. We deliver these in packaging that prevents breakage. Option 2: Buy a 1.2m (4ft) UV tube and use it in an existing fluorescent tube holder. 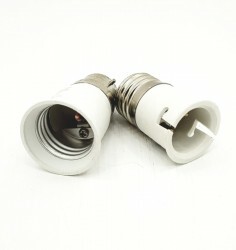 The 36W tubes cover a slightly larger area than the UV bulbs (about 3.0m in all directions gives about 36m2). If you use two UV tubes in a double holder the effect will be greater and the area covered about 50m2.